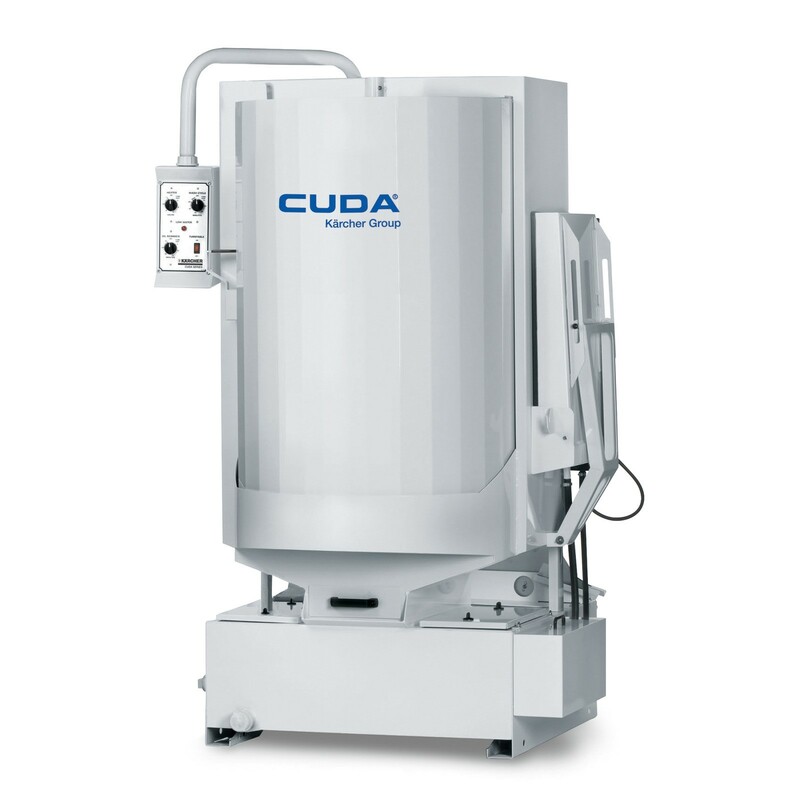 The CUDA 2840 is the next larger size in the front-load automatic parts washer models. 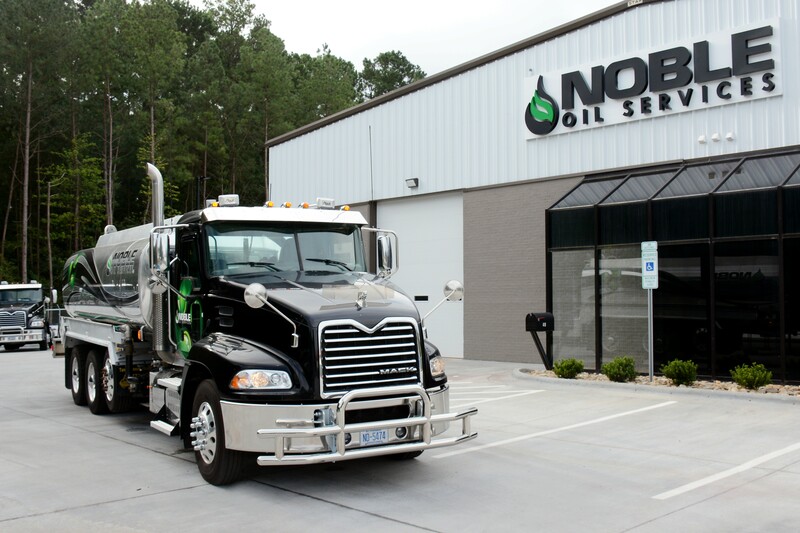 The 2840 features a turntable diameter of 28-inches, working height of 40-inches, and load capacity of 1000 lbs. The 2840 Series is equipped with a 3 HP vertical seal-less pump producing 50 GPM at 45 PSI. 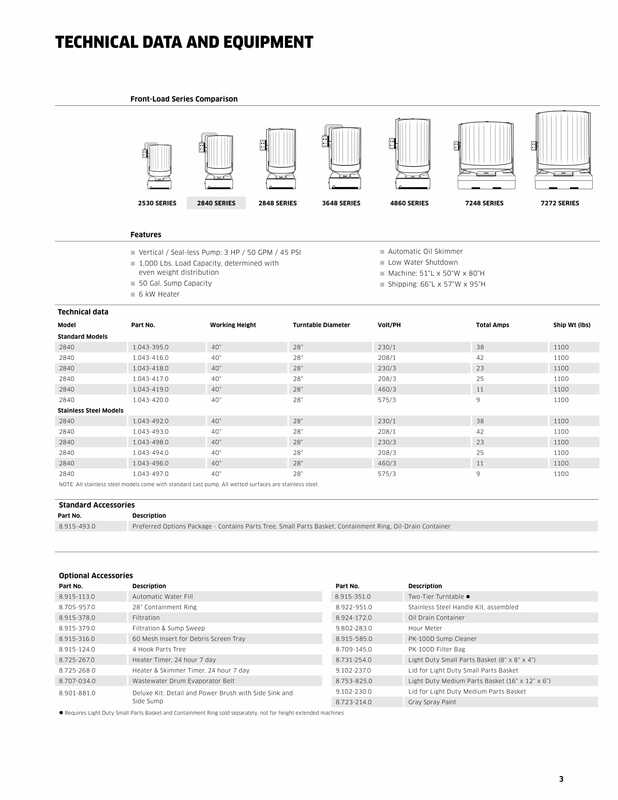 Click here to download the CUDA 2840 user manual.